Multiple sclerosis (MS) is an immune-mediated inflammatory disease that attacks myelinated axons in the central nervous system leading to significant disability. Worldwide, approximately 2.1 million peoples around the world are affected by MS . In general, the Prevalence of MS tends to increase with latitude. MS is often recognizable clinically by different patterns: relapsing and remitting MS (80% to 90%), primary progressive MS (10% to 20%), secondary progressive MS . Occasionally (<10%) MS runs a fulminating course over some months (fulminant MS) . Symptoms of MS are extremely varied and depend on the location and severity of the lesions within the CN. The disease can affect any part of the brain or spinal cord that’s why it may present with motor symptoms, sensory symptoms, visual disturbance, cerebellar symptoms, sphincteric dysfunction, psychological or cognitive dysfunction . The diagnosis of (MS) is based on the clinical findings and supporting evidence from ancillary tests, such as magnetic resonance imaging (MRI) of the brain and/or spinal cord and/or cerebrospinal fluid examination. The Macdonald criteria provided a fairly sensitive method which can be used for the diagnosis . It is important to update our local data regarding the disease and to have an idea about the size of the problem and how Sudanese MS patients behave. Multiple sclerosis is one of the most important degenerative diseases which affect young adults and might leads to considerable amount of disability and mortality. Worldwide there is a big move now towards finding a cure for multiple sclerosis and other degenerative diseases. Accurate clinical course for descriptions of multiple sclerosis (MS) is important for communication, prognostication, design and recruitment of clinical trials, and health planning. In Sudan no study was done before, except one research was done 10 years ago on the patterns of clinical presentation of multiple sclerosis in adult Sudanese patients . And due to the development of imaging techniques and investigations methods more patients are diagnosed with multiple sclerosis, so an update on the patterns of clinical presentation is much needed now for recruitment of clinical trials and treatment decision-making. To study the patterns of clinical presentation of MS in Sudanese patients. This study is descriptive cross-sectional study conducted at the national center for neurological sciences (NCNS), Khartoum Sudan. The NCNS center has two general wards medical and surgical with a capacity of 110 beds, 24 of them in the medical word. The medical word receives about 650 patients per year. There are four outpatient clinics which receive about 3000 patients per year referred from all over Sudan. This study was conducted for 3 years period from August 2015 to April 2018. The diagnosis of multiple sclerosis was done based on Poser & MackDonalds criteria two or more clinical attacks with Objective clinical evidence in examination of 2 or more lesions, in patients with two or more attacks with objective clinical evidence of 1 lesion dissemination in space demonstrated by MRI. The patient who presented with one attack with Objective clinical evidence of 1 lesion (clinically isolated syndrome) dissemination in space demonstrated on MRI and dissemination in time detected by simultaneous presence of a symptomatic gadolinium enhancing and nonenhancing lesions at any time on MRI. Sixty-five patients were enrolled in this study. Data was collected using Questionnaire filled by the researcher and a physical examination check list. The diagnosis was confirmed by MRI brain with sagittal FLAIR & MRI cervical spine, serum & CSF oligoclonal band. Other investigations to exclude MS mimicker were done including CBC, ESR, Vasculitic screening ANA, anti DsDNA, ACL, Antiphospholipid antibodies were done when needed. Data was analyzed using statistical package for social sciences (SPSS) version (20) the results were represented in figures and graphs with p value <0.05 was considered statistically significant. The study was approved by the local ethical committee at NCNS. The patients were informed that the information's taken from them will be anonymous and will be used for this research only. Consent was obtained from all participants. Follow up of the patients was done periodically. A total of 65 MS patients were participated in this study, females were 59 (90.7%) and males were 6 (9.3%) the majority of them 25 (38.4%) were within the age group from 21-30 years, (Table 1). Table 1: The age distribution in adult Sudanese patients with MS. Most of the patients 62 (95.4%) had no family history of similar condition and only 3 patients (4.6%) had positive family history (Table 2). The majority of patients 39 (60%) presented with ocular and sensory symptoms. 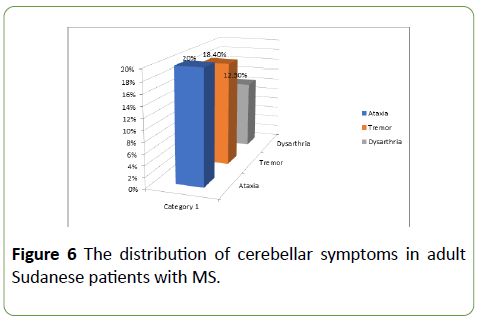 Table 2: The family history of similar condition among adult Sudanese patients with MS.
Cerebellar symptoms in 29 patients (44.6%), motor symptoms in 23 patients (35.3%), sphincteric disturbances and cranial nerves symptoms detected in 11 patients (16.9%) (Figure 1). Figure 1: The distribution of ocular symptoms in adult Sudanese patients with MS.
18 patients (27.6%) had decreased visual acuity, 9 patients (13.8%) had diplopia and 5 patients (7%) had Pain during eye movement (Figure 2). 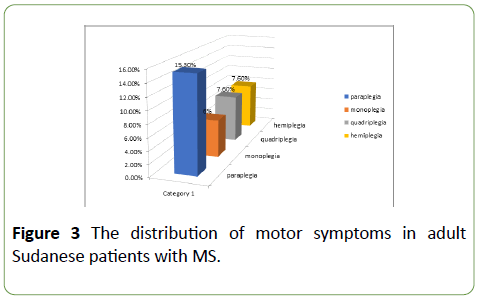 Figure 2: The distribution of ocular symptoms in adult Sudanese patients with MS.
10 patients (15.3%) had paraplegia, 4 patients (6%) presented with monoplegia, 5 patients (7.6%) had quadriplegia and the same percentage had hemiplegia (Figure 3). Figure 3: The distribution of motor symptoms in adult Sudanese patients with MS.
5 patients (7.6%) had urine retention, 4 patients (6.1%) had constipation and 5 patients (7.6%) had urine incontinence (Figure 4). 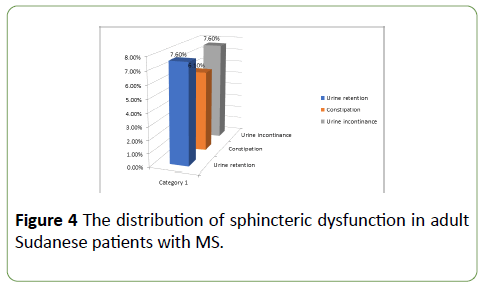 Figure 4: The distribution of sphincteric dysfunction in adult Sudanese patients with MS.
22 patients (33.8%) had parathesia and 8 patients (12.3%) had pain (Figure 5). Figure 5: The distribution of Sensory symptoms in adult Sudanese patients with MS.
13 patients (20%) had ataxia, 12 patients (18.4%) had tremor and 8 patients (12.3%) had dysarthria (Figure 6). Figure 6: The distribution of cerebellar symptoms in adult Sudanese patients with MS.
5 patients (7%) presented with facial muscles twitching (Myokymia), 4 patients (6.1%) of them with; Trigeminal neuralgia, diplopia and bulbar symptoms (Figure 7). 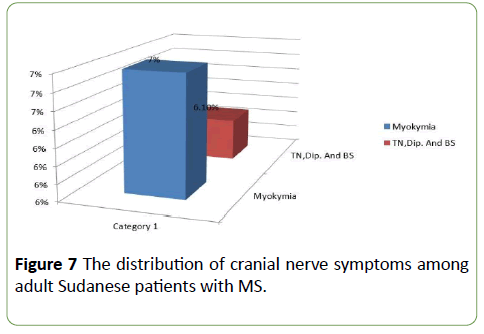 Figure 7: The distribution of cranial nerve symptoms among adult Sudanese patients with MS.
33 patients (50.7%) had past history of similar condition among them 36 (55.3%) had the disease for less than 5 years and 14 (21.5%) had twice relapses in the last 2 years (Figure 8). Figure 8: The distribution of the past medical history among adult Sudanese patients with MS. Most patients 17 (26.1%) had paraplegia, 4 (6.1%) had hemiplegia. (Figure 9). 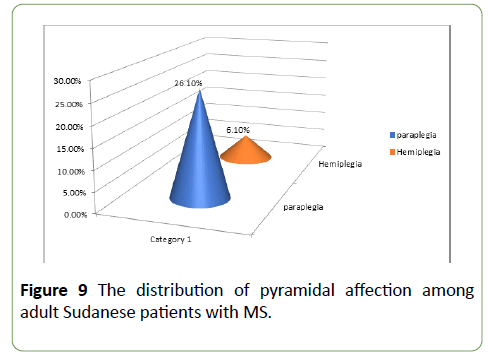 Figure 9: The distribution of pyramidal affection among adult Sudanese patients with MS.
Dysarthria was found in 5 (7.6%) of the patients, 7 (10.7%) patients had tremor, 12 (18.4%) had impaired coordination and 3 (4.6%) had ataxia (Figure 10). 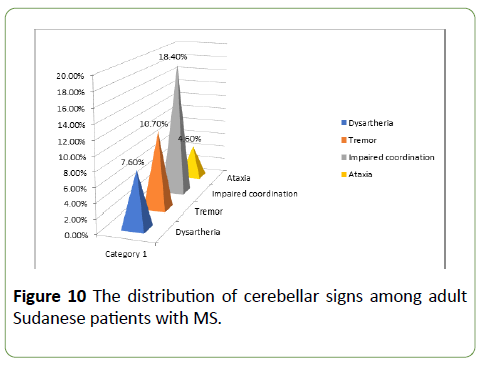 Figure 10: The distribution of cerebellar signs among adult Sudanese patients with MS. Most of the patients 40 (61.5%) had more than two lesions detectable in their brain MRI and 11 (16.9%) had two lesions (Table 3). Table 3: The distribution of brain and spinal MRI among adult Sudanese patients with MS.
12 (18.5%) patients were examined for CSF analysis, Oligoclonal band was found in all of them (Table 4). Table 4: The CSF investigations among adult Sudanese patients with MS. The majority of patients 40 (61.5%) received Methylpredinolone in acute relapse and 2.8% received immunoglobulin (Table 5). Table 5: The treatment of acute relapses used among adult Sudanese patients with MS. Regarding disease modifying drugs, 15 (23%) were treated with Interferon beta-1a (Avonex-Rebif), 16 (24.6%) treated with azathioprine, 7 (10.7%) were taking prednisolone and only 2 (3%) were received methotrexate 14 (21.5%) were not on any disease modifying treatment (Table 6). Table 6: Disease modifying treatment used among adult Sudanese patients with MS. Some patients 7 (10.7%) were used vitamins as symptomatic treatment (Table 7). Table 7: Symptomatic treatments used among adult Sudanese patients with MS.
About the types of MS, the majority of patients 45 (69.2%) had relapsing remitting MS. While the remaining 20 (30.7%) had secondary progressive MS (Figure 11). 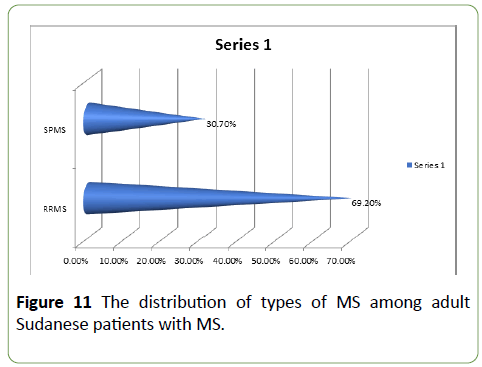 Figure 11: The distribution of types of MS among adult Sudanese patients with MS. Brain and spinal cord MRI were displayed in Figures 12 and 13. Figure 12: (A) The MRI brain of 26 years female with MS before the treatment. (B) The MRI brain of 26 years female with MS after the treatment. Figure 13 (A): The MRI brain of 30-year male with MS before the treatment. 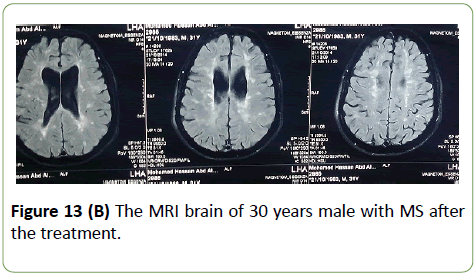 Figure 13 (B): The MRI brain of 30 years male with MS after the treatment. Estimation of frequency and clinical presentation of MS is very important in understanding the disease burden and assists in health planning. Looking at the distribution of the age group this study revealed that, most of the patients were below 40 years old. 38.4% were within the age group of 21-30 years and 29.3% were within the age group of 31-40 years with the mean age being 35 years. This in keeping with what was found by Abu-Elbishir who stated that 37% of Sudanese patients diagnosed with MS ten years ago were within the age group of 30-40. MS is known to be a disease of young adults and usually diagnosed in a person aged between 15 to 45 years . Yagoub et al. stated that the mean age of onset in Saudi patients was 25.9 years . This is slightly lower than what we found in our study. Our study showed that, 83.3% of the patients were females and 16.7% were males with female to male ratio 5:1. This is lower than the result of Yagoub in KSA which showed female to male ratio 1.4:1 this might be related to the rarity of the disease in males. Like most of the autoimmune disease, in general MS is more common in women . The ratio of women to men with MS varies according to the region . Most of the patients were considered from moderate to high socioeconomic status. This study demonstrated that, 63.9% of the patients lived in Khartoum state. This may be referred to the accessibility of health services in Khartoum state. The ocular symptoms were found in 60% of the patients. Decreased visual acuity was found in 27.6% of them. This is slightly lower than the findings of Abu-Elbishir who stated that visual symptoms were seen in 99% of adult Sudanese patients . Also, much lower percentage was found in Egyptian study . The study revealed that, the motor symptoms were found in 58% of the patients. Paraplegia being most frequent in 15.3% followed by; monoplegia in 6% and haemiplegia/quadriplegia in 7.6%. This goes with a study done in Kuwait by Alroushani, et al. who showed 50% of the patients were presented with motor symptoms . Also, our result is slightly lower than the findings of Abu-Elbishir who stated that 85% of the patients had motor symptoms . It was obvious from the study that, the sensory symptoms were presented in 75% of the patients, 33.8% of them were presented with parethesia and 12.3% with pain. These results were lower than what was found by Abu-Elbishir who stated that sensory symptoms were presented in 91% of patients . Tallawy, et al. showed that only 19.9% of patients were presented with sensory impaired in Egypt . Sphincteric dysfunction was found in 30% of patients, 7.6% of them had urine retention, 6.1% had constipation and 7.6% had urine incontinence. This in consistent with the findings by Abu-Elbishir who found the bladder symptoms was found in 30% of patients . Regarding the cerebellar symptoms, were presented in 30% of the patients, 20% of them had ataxia, 18.4% had termer and 12.3% had dysarthria. This is close to what was found by Alroughani who found that cerebellar symptoms were presenedt in 24% of Kuwaiti patients . A higher percentage was found by Abu-Elbishir who stated 67% of patients . This study showed that cranial nerves symptoms were found in 30% of the patients. Facial twitching (Myokymia) in 7%, Trigeminal neuralgia, diplopia and bullbar symptoms all had the same percentage 6.1%. This was lower than what was found by Abu-Elbishir who stated that cranial nerves III, IV and VI abnormalities were found in 47% of the patients. Trigeminal neuralgia was found in 9%, facial twitching (Myokymia) in 15%, tongue weakness and spasticity were found in 3% of them . Overall MS symptoms were less frequent in this study compared to the study done in 2006 . And the percentage of developing symptoms was closer to the regional levels. This might be due to the development and use of new disease modifying treatment, which had to fewer symptoms and near normal lives between relapses. Our study revealed that, family history was found only in 4.6% which was constant with the fact that genetic factors might play small role in developing MS . In this study, there were several neurological signs detected on examination of the patients. Ocular examination showed that decreased visual acuity was found in 27.6% and fundoscopy showed that 50% had normal fundus, 36.1% had optic atrophy and 13.9% had optic neuritis. This was lower than what was found by Alroughani . This might be due to the fact that our study depended on the signs detected at the time of presentation. In our study, cranial nerves examination revealed that only 5.6% of patients had sixth nerve palsy, the rest of cranial nerves had the same percentage of 2.8% each except for the eighth cranial nerve which had 0%. This is not matched with Abu-Elbishir who found that 47% of patients had sixth nerve palsy, 9% had fifth nerve palsy and 15% had facial nerve palsy . Regarding the upper and lower limbs examination, tone was normal in 22.2%, 11.1% had hypotonia and 61% had spasticity. In a Spanish study, Orja, et al. found that more than 65% of MS patients had spasticity . Another study showed that examination of the power revealed normal power in 36.1%, nearly half of the patients (47.2%) presented with paraplegia, 5.5% with monoplegia, 8.3% with hemiplegia and only 2.7% presented with quadriplegia. This result is slightly different from what was found by Abu-elbishir who stated that 44% of the patients had tetraplegia and 25% had paraplegia . Spasticity is one of the major factors affecting quality of life in MS patients . Examination of sensory and motor showed lower results than what had been stated by Abu-elbishir . MRI brain was done by all of the patients and in most of them it was diagnostic of MS. This is mostly because we included patients with definite MS and any patient with clinically isolated syndrome was excluded from the study. CSF examination was done in 18.4% and it was positive for oligoclonal bands in all of them. In the previous study done 10 years ago CSF for oligoclonal bands was not done due to lack of facilities . According to the McDonald criteria CSF examination for oligoclonal bands is considered to support the diagnosis, but it was not evaluated for its contribution in the diagnostic criteria, so they suggested further studies to confirm its value in MS diagnosis . In this study, 65% of patients received methylprednisolone and only 1% received immunoglobulin. High dose steroids had been proved to be effective in the management of acute relapses but did not prove to have an effect on the disease progression. Regarding the management with disease modifying treatment, our study showed that 16% were not on any disease modifying treatment, 13% were treated with interferon beta, 16% treated with azathioprine, 7% were taking prednisolone and only 2% were received methotrexate. Tecfidera, fingolimod and teriflunomide all had the same percentage which was 1% for each. Currently most of the disease modifying medications are licensed for the treatment of relapsing remitting type of MS with great effort to find effective treatment for the other types. Interferon 1-a and glatiramer acetate are the preferred first line among established injectable therapies, although oral therapies such as azathioprine, teriflunomide and dimethyl fumarate have at least comparable efficacy . Disease modifying medications is very expensive and not available in Sudan and most of the patients have big trouble getting them and being compliant due to financial and availability issues. The disease course . Some of the patients were on symptomatic treatment including vitamins especially vitamin D in 8%, baclofen, Tricyclic antidepressants and carbamazepine all had the same percentage 3%. Selective Serotonin reuptake inhibitors and benzodiazipines were used in 1% of the patient. Most of the patients 69.2% had relapsing remitting type of multiple sclerosis and only 30.7% had secondary progressive type. This result is different than what was found by Abuelbishir 2006 who stated that 55% of patients had relapsing remitting and 45% had progressive form of MS. Females predominated in 91% of the patients; the most affected age group was ranging between 21-30 years. And the most common presenting symptoms were ocular and sensory in 60%, followed by cerebellar in 45%, No documented family history in most of the patients in 95%. Relapsing Remitting type was predominating in 69%. More than 2 lesions on brain MRI were found in 62% of the patients. The majority of patients 61.5% received Methylpredinolone in acute relapse. Azathioprine was found to be very effective in 25% of the patients. Further studies are needed on the epidemiology of multiple sclerosis in Sudan, to estimate the prevalence of the disease. In addition to that, we proposed to screen some genetic markers in MS among our patients. 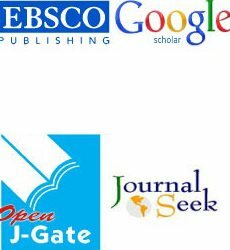 We have participated sufficiently in the intellectual content, conception and design of this work, the analysis and interpretation of the data, as well as the writing of the manuscript. This was not funded by any organization or any institution. Kumar P, Clark M (2009) Clinical medicine (7th edn). 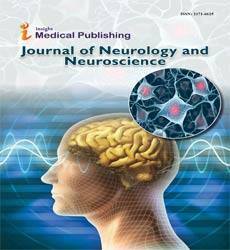 Neurological diseases, Edinburgh, London: Elsevier, UK. Fauci A, Braunwald E, kasper D, Hauser S, jameson L, et al. (2008) harrison's principles of internal medicine. (7th edn), Multiple sclerosis and other demylinating diseases, McGraw-Hill companies, USA. Polman C, Reingold S, Banwell B, Clanet M, Cohen J, et al. (2010) Diagnostic criteria for multiple sclerosis, Revisions to the McDonald criteria Ann Neurol, 6: 292-302. Abu-El-bashir E (2009) Pattern of clinical presentation of multiple sclerosis in adult Sudanese patients. J Mult Scler 15: 1537-1538. Yaqub BA, Daif AK (1988) Multiple sclerosis in Saudi Arabia. Neurology 38: 621-623. Browne P, Chandraratna D, Angood C, Tremlett H, Baker C, et al. (2013) Atlas of Multiple Sclerosis: A growing global problem with widespread inequity FRCP Neurology 83: 1022-1024. Tallawy HN, Farghaly WM, Rageh TA, Shehata GA, Badry R, et al. (2013) Door-to-door survey of major neurological disorders (project) in Al Quseir City, Red Sea Governorate, Egypt. Neuropsychiatr Dis Treat 9: 767-771. Alroughani R, Ahmed SF, Behbahani R, Khan R, Thussu A, et al. (2014) Increasing prevalence and incidence rates of multiple sclerosis in Kuwait. Mult Scler 20: 543-547. 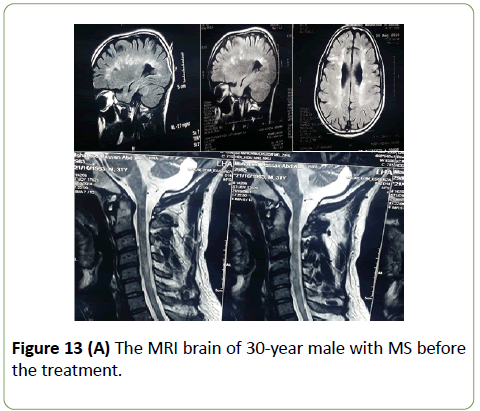 Goldenberg M (2012) Multiple sclerosis review. Pharmacy and therapeutics 37: 175-184. Oreja-Guevara C, Gonzalez-Segura D, Vila C (2013) Spasticity in multiple sclerosis: Results of a patient survey. Int J Neurosci 123: 400-408. Hemmett L, Holmes J, Barnes M, Russell N (2004) What drives quality of life in multiple sclerosis? QJM 97: 671-676. Gajofatto A, Benedetti D (2015) Treatment strategies for multiple sclerosis: When to start, when to change, when to stop? World J Clin Cases 3: 545-555.